Pasco officials have a pattern of engaging in bizarre and illegal shenanigans. The story was already outrageous enough. Port Richey’s mayor, Dale Massad, was arrested last month by a SWAT team after deputies say he shot at them as they entered his home to take him into custody on charges of practicing medicine without a license. Then his replacement, acting mayor Terrence Rowe, was arrested after authorities said he conspired with Massad to intimidate a Port Richey police officer. They hatched the plan, officials said, while talking over a jail phone that is recorded — and that inmates are informed is recorded. Both have been suspended by Gov. Ron DeSantis. The story went viral for the sheer ridiculousness of the circumstances (Two mayors in one month?!) But these are not the first elected officials in Pasco to get busted. In fact, the county has a long and colorful history of public officials engaging in bizarre and illegal shenanigans. It’s still one of the biggest scandals in Pasco County history: In September 1982, a grand jury indicted former Pasco County Commission chairman Barry Doyle on 21 counts of unlawful compensation of bribe money totaling more than $41,000. Six days later, then-Gov. Bob Graham removed him from office. That December, Doyle pleaded guilty to five counts of accepting unlawful compensation from businessmen to influence county affairs. Authorities said he took $23,610 from Carl Minierei, a local developer who was trying to “influence the terms of a residential project” and $1,500 from Nick Dris, a paving contractor who Doyle helped get an asphalt plant approved. Doyle also accepted “an unsecured loan” from someone who worked at American Health Care Enterprises and was trying to negotiate the purchase of a county hospital. Doyle’s wife Rebecca, a law secretary, was charged in September 1982 for a separate offense. She pleaded guilty to stealing over $14,000 from estates handled by the the law firm where she worked. Doyle only served 14 months of a 3-year prison sentence. Months after his release, he and two former inmates founded Catch and Carry Inc. 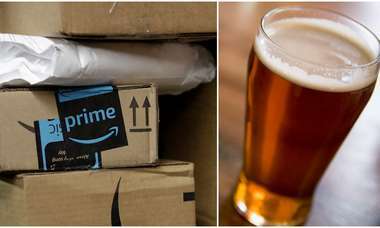 The company’s mission: Develop equipment, such as surveillance vans and battering rams for doors, to help apprehend criminals. Pasco Sheriff John Short ran Operation Clean Up Pasco from 1981-82, a secret investigation of about 30 prominent East Pasco people he suspected of smuggling drugs. Those on Operation CUP’s list included people who opposed his budget increases and some prosecutors in the Pasco-Pinellas State Attorney’s Office. Short, however, denied that he was targeting people he didn’t like. None of his targets, though, had been publicly linked to illegal activity. 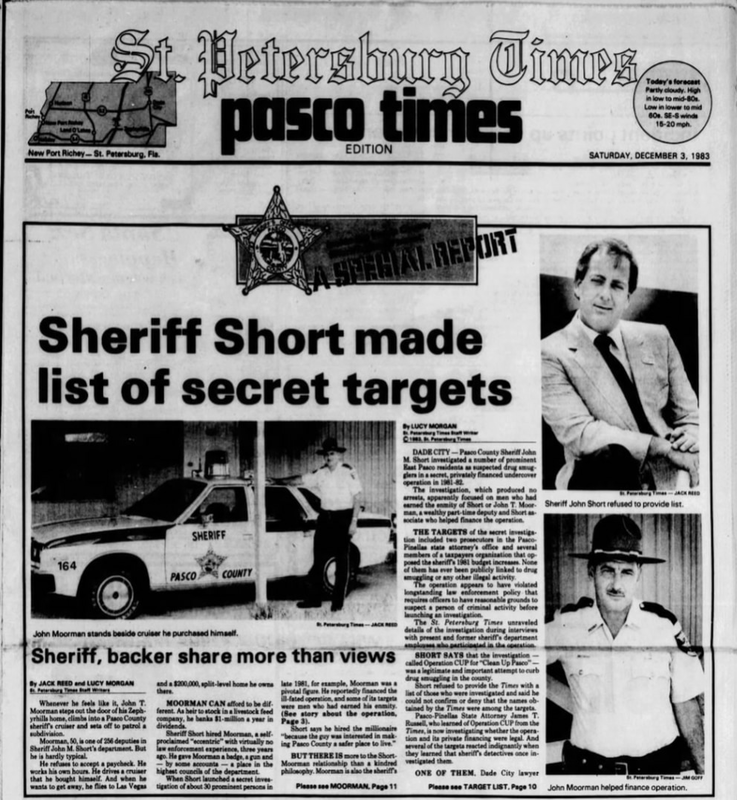 An editorial in the Pasco Times (the local edition of the then-St. Petersburg Times for Pasco County readers) called Operation CUP “an unbridled misuse of police power with overtones of a Gestapo-like inquisition of political crimes.’"
The Dec. 3, 1983 front page of the Pasco Times, the local edition of the St. Petersburg Times for Pasco County readers. The two reporters, Jack Reed and Lucy Morgan, would go on to win a Pulitzer Prize for their reporting on ex-Pasco Sheriff John Short. Times reporters Lucy Morgan and Jack Reed relentlessly investigated the corruption and inefficiency of Short’s tenure in office. The Pasco County Sheriff’s Office tried to withhold records from the Times and even tried to get state permission to destroy records that the newspaper had requested. Meanwhile, someone was going through Morgan’s garbage and bugging her phone. Her house was also being surveilled and her family followed. 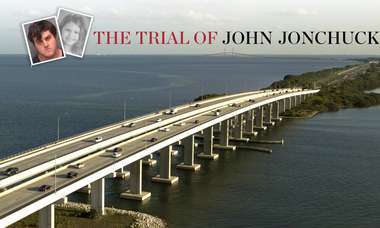 The case involved one of Short’s deputies, Zephyrhills millionaire John Moorman, who the Times reported refused to accept pay, loaned the sheriff $48,500, bought a travel agency from Short that was losing money and even sold the sheriff’s house for him. Short did business with at least eight employees who worked under him as sheriff, using subordinates to become a mortgage lender, landlord, land speculator and corporate officer. In 1984, Short was indicted on three corruption charges but later acquitted. Then-governor Bob Graham also removed him from office. A dozen employees left, either quitting before they were fired or just resigning. In 1984, Morgan and Reed won the 1984 Pulitzer Prize for local investigative reporting. The voters decided to replace Short with a new sheriff, Jim Gillum. But that wasn’t the end of the problems at the Pasco County Sheriff’s Office. It was later revealed that Gillum had accepted a campaign contribution from a drug trafficker. His eight years as sheriff were filled with ethical violations. He hired his girlfriend for an unadvertised job and later promoted her to staff attorney. He also gave his friend, a Holiday car dealer, a $770,000 contract from the Sheriff’s Office and used free rental vans for his own family vacations. Pasco voters decided that they’d had enough of Gillum during the 1992 primary (a loss he blamed on his 1991 divorce from his second wife.) He also tried, and failed, to get back into office when he ran in 1996 and 2000. He took a break from campaigning for a while and was arrested for passing bad checks in 2007. Finally, he ran for sheriff in Volusia County in 2016. That didn’t work out, either. Ex-Pasco County Republican Party chair and candidate for state house Merland Conine was known for his anti-drug crusades — until his 1991 arrest on drug charges. Conine was charged with conspiracy to traffic in cocaine, sale and possession of marijuana, resisting arrest with violence and battery on a law enforcement officer. According to Times archives, investigators starting looking into Conine after an anonymous tip said he’d been talking about having someone murdered. One year before that arrest, Conine had pleaded no contest to illegally collecting unemployment benefits while working as a car salesman. 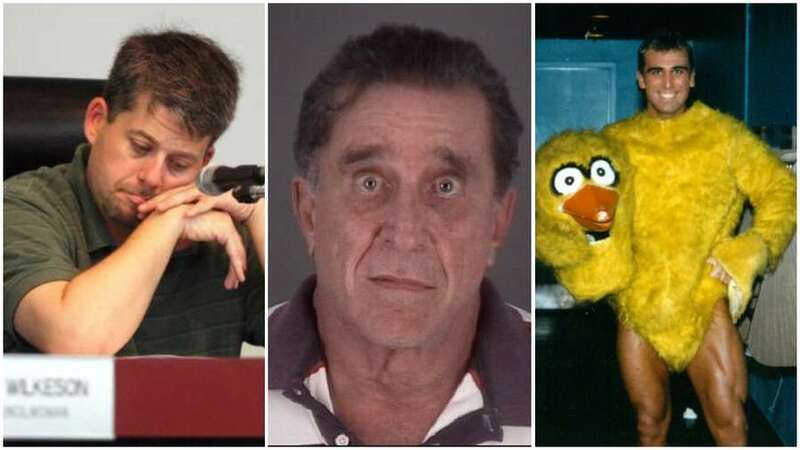 He also “nominated himself” as the local chairperson for the non-profit Babies Addicted to Drugs Foundation of Orlando. After proceeds from his BAD fundraisers ran suspiciously low, the organization spent months getting him to stop collecting funds in its name around Pasco County. In 1993, Conine was sentenced to a minimum of 15 years in prison after pleading no contest to four drug charges and grand theft. Ken Tallier was running for Pasco County sheriff in 1996 when a polygraph exam he took a decade earlier torpedoed his chances. Took $50,000 in bribes from gamblers and motorists. Stole $3,000 in cash and $600 in jewelry from a dead body. Dumped his car to collect insurance money. His application for the Pinellas County Sheriff’s Office job was rejected in 1986. But he was hired by the Pasco County Sheriff’s Office — under former Sheriff Jim Gillum. A reporter next showed Tallier the polygraph report from the Pinellas County Sheriff’s Office. He began rocking faster in his chair as he read the allegations. His wife leaned over his shoulder and shook her head. “Twenty-nine years I’ve been married to you, and you didn’t tell me about this,” she said. 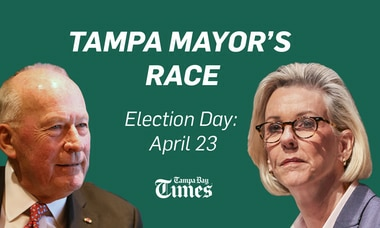 The day after the Times reported on the polygraph exam, Tallier withdrew from the Pasco sheriff’s race. That gave the Republican nomination to a familiar face: Gillum. Incumbent Pasco Sheriff Lee Cannon won re-election that year with 69 percent of the vote. New Port Richey Council member Scott Bryant left office to run for a seat on the Pasco County commission in 1998. Bryant’s campaign emphasized his credentials as a medical student and Gulf War veteran. He was soon exposed as a fraud. Bryant was caught claiming a child that he didn’t father as a dependent on his military disability pension paperwork in order to bump his pay. When confronted with this revelation, Bryant said he paid child support to the mother of a 9-year-old child from Michigan and visited him once a year. But the boy’s mother told the Times that Bryant took a blood test to prove that the child wasn’t his so that he wouldn’t have to pay child support. He only met the child once and hadn’t sent money since he left the military six years before that. Claiming that child increased Bryant’s military pension from $8,665 to $11,349 — but also cost him the election. Leggiere served on the Port Richey City Council and was later acting mayor. As a candidate for Port Richey mayor in 2003, Leggiere was arrested on allegations that he was driving while impaired. It was his second DUI charge (the first incident took place in 1988). He said he had taken painkillers for toothaches — before each of the DUIs. Though he drank several scotch and sodas before getting behind the wheel, Leggiere said the arrest was political retribution from the city’s police department. Leggiere got his license back in time to drive himself to the polls on election day. He still lost. His problems, though, continued. In 2005, a grand jury investigating the city bashed him for running roughshod over Port Richey’s building department. He signed a settlement admitting he violated state ethics laws and agreed to a $2,000 fine in lieu of continued enforcement action after being accused of pressuring city building officials. In July 2010, the Sheriff’s Office said that New Port Richey Mayor Scott McPherson got so drunk that his wife Kimberly slapped him in front of a deputy outside of a restaurant. She was arrested on a misdemeanor domestic battery charge. According to arrest reports, the McPhersons were intoxicated and acted hostile toward the deputies that night. Scott McPherson said he would use his political influence to ruin the deputies’ careers. 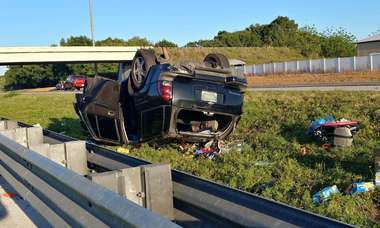 “Throughout the incident, Scott McPherson continually stated that he was the mayor of New Port Richey. He told deputies they were acting like ‘Keystone Kops’ and that he would have their jobs," the Times reported. Kimberly McPherson was jailed, but prosecutors later dropped the case against her. In calls McPherson made to emergency dispatchers, he asked to speak directly to then-Pasco Sheriff Bob White and ordered that Deputy Michael Shoup be taken immediately off duty. He also claimed that Shoup sexually assaulted his wife during the arrest, although he later retracted the allegation. A 680-hour investigation that cost $18,000 found some evidence that the deputy had been harsh and unprofessional. However, he was ultimately cleared in this case. Scott McPherson considered resigning, but ended up completing his term. He wrote a public letter of apology. In 2012, Port Richey Mayor Richard Rober and his wife, Averill, were charged with conspiracy to defraud the federal government, accused of hiding more than $239,000 from the Internal Revenue Service. The couple was sentenced to serve six months in federal prison, followed by six months of house arrest and three years of supervised release. They also had to pay $55,305 in restitution to the IRS. The Robers used to own Gator Water and Wastewater Management, Inc., but sold the business after he became mayor in 2007. The buyer, Florida Utility Group, claimed that Richard Rober claimed that Gator Water was debt-free. The truth? Rober "funneled about half a million dollars of company money into a personal fund he hid from accountants, the utility and the IRS, spending it instead on family finances, the couple’s Hummer and repairs for their boat,” according to Times archives. Rober stepped down after a lawsuit from the Florida Utility Group. He was sentenced two years later. Former Zephyrhills High School principal and city mayor Steven Van Gorden. Steven Van Gorden became Zephyrhills High School’s principal in 2009. Three years later, allegations of sexual harassment led to his departure from the school. Female employees said that he intimidated them and made them feel powerless when they reported the sexual harassment allegations. It wasn’t long before City Council members voted to start the process of impeaching Van Gorden as mayor. He initially tried to fight to keep office, but eventually stepped down. He also resigned from his positions as president of the Zephyrhills Chamber of Commerce and the Zephyrhills Rotary Club. That wasn’t the end, though. Van Gorden tried to run for a seat on the Hernando County School Board in 2016. Stripper-turned-lawyer-turned congressional candidate Constantine “Chuck” Kalogianis was arrested in November 2016 on nine felony counts (eight for forgery, one for a scheme to defraud) and disbarred. Kalogianis’s saga continues. In February, he was arrested in a Pasco Courtroom and charged with equity skimming (A type of mortgage fraud). He was accused of altering official court records in order to benefit the people he represented in foreclosure suits. Kalogianis decided to represent himself in a trial that started in the beginning of 2019. Just two days into the trial, he pleaded guilty to multiple felony counts. He faces up to 12 years in prison.